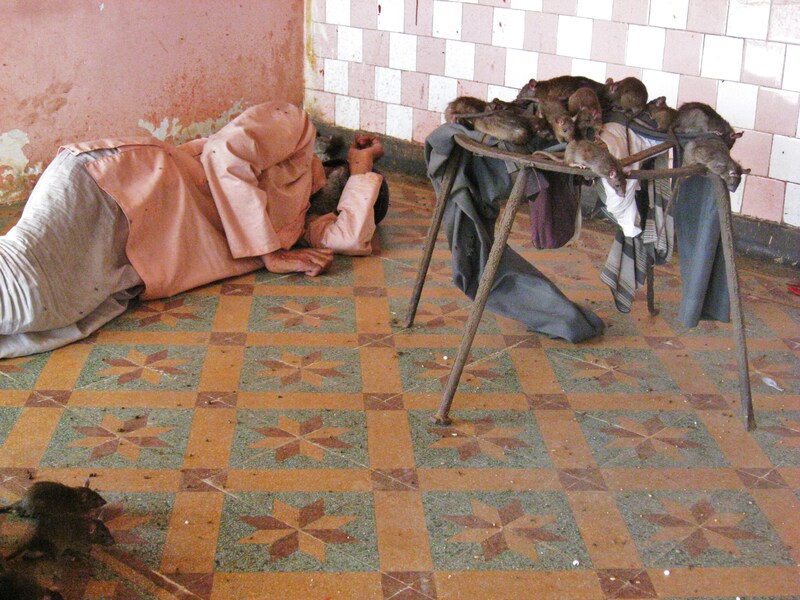 Karni Mata Temple (the Rat Temple) is a crazy place, at least in the minds of Westerners. Adjectives used to describe it are: disgusting, horrific, creepy, surreal, shocking and dreadful. The use of these words is understandable, but like many other things in India, it is indispensable to look beyond common Western perceptions. So, follow my story but please leave your fixed beliefs behind. 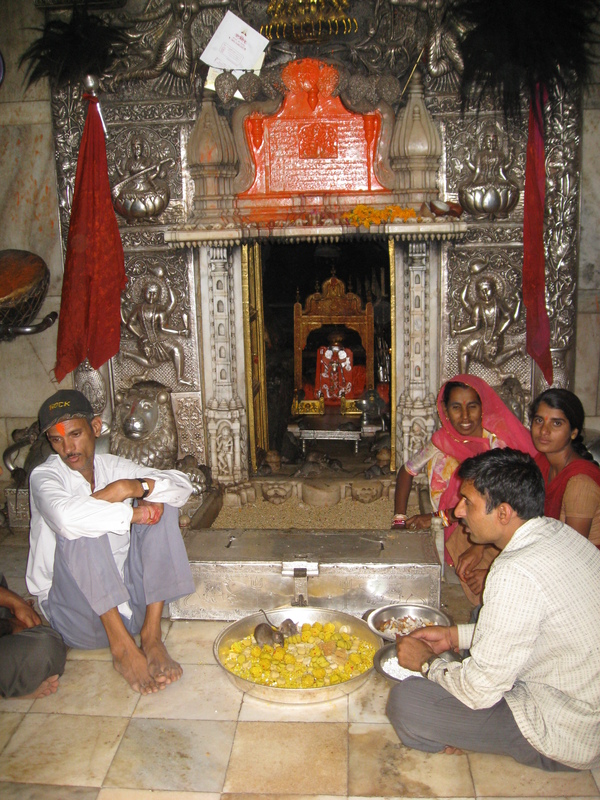 Accept Karni Mata as it is: a very important pilgrimage site to millions of Hindus. The Rat Temple was constructed in the early 20th century following Mughal style, and it is in fact a pretty temple full of marble and silver decorations. Its floor tiles are very beautiful, too. There are several legends about the birth of the Rat Temple. One is linked to Hindu mythology and Yama (the God of Death), who saved a stepson of Karni Mata (a female Hindu sage). Following the rescue of this child, Yama decided that Karni Mata’s sons should all be incarnated as rats. The other legend says that 20,000 soldiers abandoned a battle nearby and escaped to the town where the Rat Temple is located. Thanks to Karni Mata’s kindness, despite the soldiers’ unforgivable act, she decided to save, turned them into rats and gave them a home. Whatever the truth is, the fact is that there are around 20,000 rats running around the Rat Temple and they seem to like. Undoubtedly it is their home now. Upon entering the temple, my first reaction was to throw up. It is not an exaggeration to say that rats are everywhere. In fact they walk on your feet. They touch your legs. If you lied down, they would crawl on you. After the initial shock we got used to the rats and wandered around observing the habits of locals. Some came to the temple for a marital blessing, some brought their babies to the priest. Everyone was –of course– very serious about the special power of the temple. Many people were making offerings to rats, either sweets or milk. We met a lot of really lovely and friendly people at the Rat Temple and spent more than an hour taking photos of each other. Some of these families had traveled from very far away to pay respect to Karni Mata and her rats. However, even if the Rat Temple is quite well-known, it seemed that the locals were as curious about us than we were about the rats! Needless to say, I highly recommend Karni Mata. This is the place where one’s readiness to accept the other –as he/she is– is truly tested. 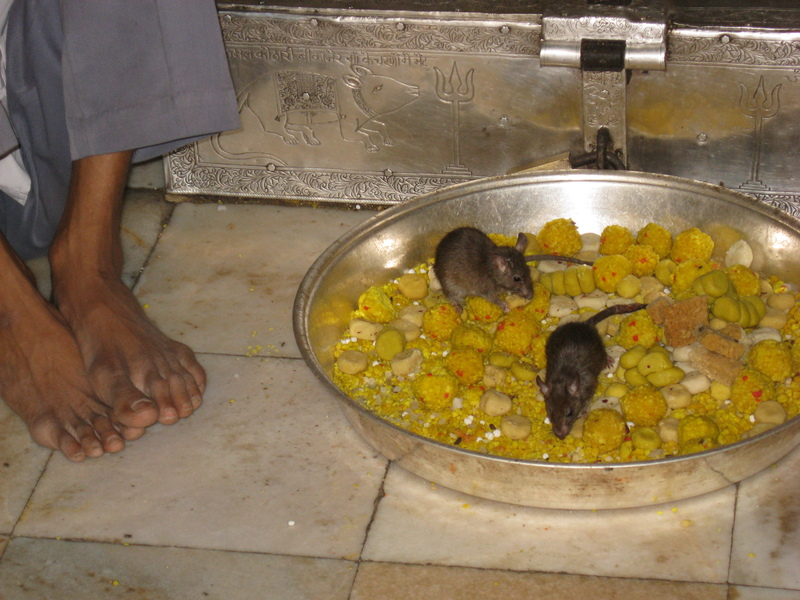 The Rat Temple offers a great insight into Hinduism. And if you are afraid of rats there is nothing better than overcoming your fear. I recommended you to remove your shoes (obligatory), walk inside, keep your eyes open and breath. Start walking and let this wonder of the world embrace you. You won’t regret, I promise. PRACTICAL INFORMATION: Visiting Karni Mata depends on where you are coming from. We visited it on our way from Mandawa (Shekhawati region to Bikaner. It was extremely hot along the road (it is basically desert) and the last part of the road was very bad. You do not want to have a flat tire there. 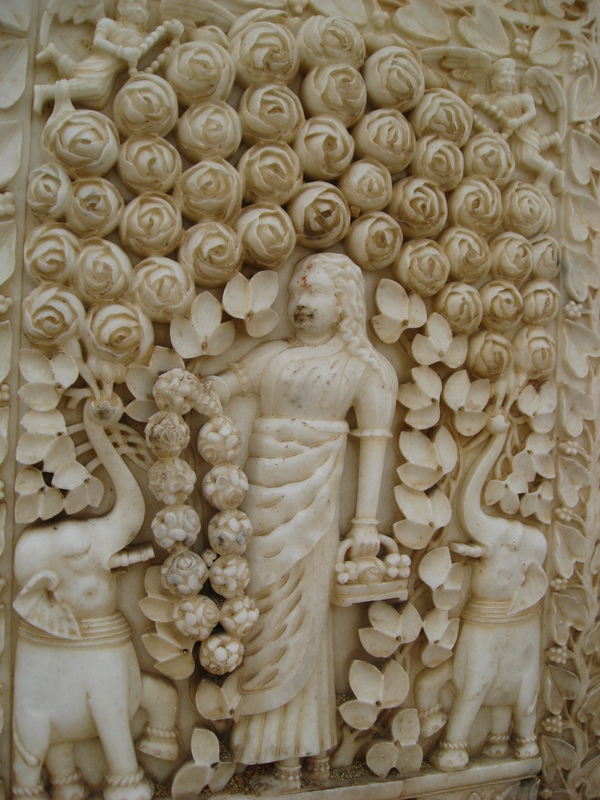 However, probably the easiest way to visit it is from Bikaner: It is only about 30 km away. This entry was posted in Uncategorized and tagged architecture, Hinduism, India, North India, Rajasthan, religion on March 19, 2014 by Miia. I’m glad you we’re able to stomach so that you could snap some incredible photos. The rats are quite interesting. Yeah, why do they live there? Where do they come from? Why do they like it there? Mysterious.. at least to non-Hindus! Right! Perhaps all the various foods that are left there I am sure for spiritual reasons… keeps them coming back and back for more. Well, why not. And this is not even the craziest thing I have seen in India.